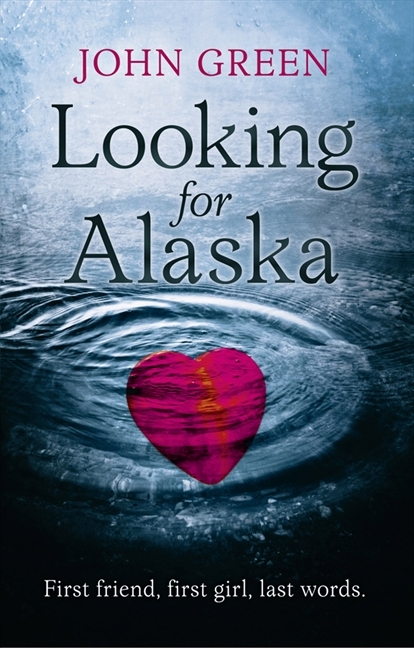 Green was awarded the 2006 Michael L. Printz Award for Looking for Alaska. It is taught in many high school and college curricula and has been published in more than fifteen languages. Looking for Alaska was my second John Green book and after being completely obsessed with The Fault In Our Stars, I was glad that this one did not disappoint. I can honestly say that I am a devoted nerd fighter and you guys should check out his series of Vlogs that he makes with his brother, called The Vlogbrothers (some seriously funny stuff). Looking for Alaska was a coming out age novel about the triumphs and trials of being a teenagers. Let me say that not only can you always count on John for an amazing story, but a bunch of thought-provoking and beautiful quotes which can be found all through-out the book. Miles is obsessed with last words which was something I hadn't thought about at all. Miles is a character who just goes day by day with no friends and not much excitement. Having heard only 100 times the mayhem that went on back in his fathers Culver Creek days he goes there seeking "The Great Perhaps". On that journey Miles or "Pudge" as his new friends call him, meet a cast of funny and screwed up characters including Alaska Young. As Miles says "I was drizzle and she was a hurricane.”, well I think that says it all. Alaska is your loud, confident, popular and trouble-making girl who underneath that tough exterior has a lot of problems. Alaska was a character who was reckless and could be annoying at times. But at the end of the day the gang reminded me of Charlie's Sam and Patrick (The Perks of Being a Wallflower). The type of people that fought with each other and did stupid things but cared for each other. But in some ways because of the stupid things they did, it made the story much more entertaining and as I said before once you get past that tough exterior they where like able characters. 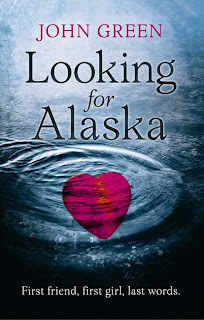 Looking for Alaska was split into two parts, Part One and Part Two. It's hard to say which part I liked more. Because Part 1 had more action and fun but Part 2 had much more mystery. This is a novel that keeps you hooked with it's witty humour and I recommend it. John Green has a way with words, doesn't he? When reading TFIoS I constantly found myself sticking sticking notes next to the quotes I liked. His writing style is just beautiful. I LOVE John Green! I'm a big fan of the Vlogbrothers too! And ever since I read The Fault in Our Stars I have been a massive fan. I really need to read some more of his books though, and will probably start with Looking for Alaska. It's great that this didn't disappoint, and there were plenty of his beautiful quotes included in the novel. Thank you so much for sharing your wonderful review with us, Sunny. I love reading your reviews, and they always persuade me to try a new book! I really want to read this book. I'm glad you enjoyed it. :) Thanks for posting! You've made me very eager to pick a copy up now.